The United States has two separate banking systems today - one serving the well-to-do and another exploiting everyone else. How the Other Half Banks contributes to the growing conversation on American inequality by highlighting one of its prime causes: unequal credit. Mehrsa Baradaran examines how a significant portion of the population, deserted by banks, is forced to wander through a Wild West of payday lenders and check-cashing services to cover emergency expenses and pay for necessities - all thanks to deregulation that began in the 1970s. Every few years there is a book that is so powerful it turns me into a book nerd evangelical. I go out and buy several copies and press them into friends hands with the fervor of a recent convert and tell them they &amp;quot;NEED&amp;quot; to read it. I think the last nonfiction book to do this for me was 'Dark Money: The Hidden History of the Billionaires Behind the Rise of the Radical Right' or maybe 'The Big Short: Inside the Doomsday Machine'. Usually, the book has both a financial and a policy tint. It also usually also explores unfairness. That makes sense. In my previous life I was a policy analyst and I now work in the finance industry as a financial planner. I'm usually a pretty mellow guy. I meditate, read, drink tea, and chill. But reading about inequality and unfairness tends, for me, to be a big catalyst for action. If the last few years has taught us anything is America is still struggling with its &amp;quot;original sin&amp;quot; of slavery and the ugly descendants of slavery: discrimination, segregation, inequality, despair. We have seen, just this week (actually for the last few years), protests about the way Black Americans are treated by police officers. That subject deserves its own space, so I wont dwell too much on that here, other than to say the interaction of Black Americans and police officers ISN'T simple. It isn't a subject that cannot easily be explained just by saying police are racists, or unarmed Black Americans should behave differently (different from whom?). There are structural, geographic, economic, historical, and political forces that all contribute to awful outcomes. Just like blue on black violence isn't easily explained in a tweet or a FB post, the interaction between Black Americans and banks has a long, ugly, and painful history. 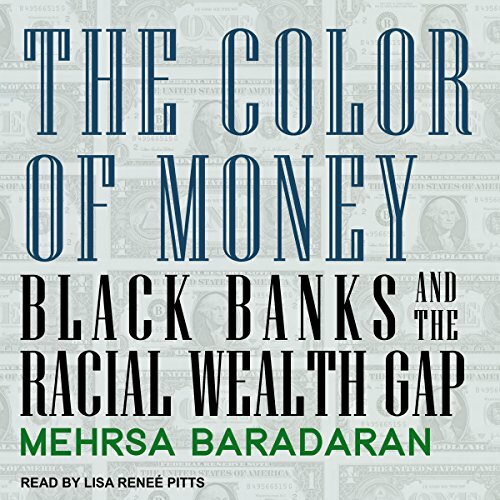 It is a history that is important to understand if one REALLY wants to explore topics like income inequality, segregation, credit, crony capitalism, corruption, exploitation, state power, wealth, etc... Mehrsa's book explores the policies, laws, programs, politics, economics, and history of black banks AND the history of Black Americans with banks. She points a fairly bleak picture of the fault/chasm that exists between the two financial markets that exist in America. One is the banking structure that exists for a majority of Americans and doesn't need to be explored. But for years that economic structure, that allows people to save (AND BORROW) didn't exist for a large segment of Americans. And when it eventually did, it was skewed heavily. Separate was never equal in banking. 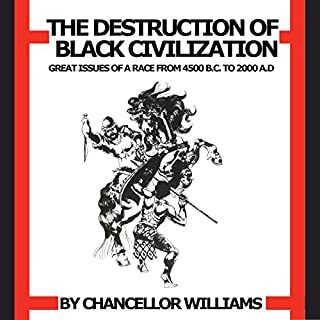 Blacks paid a heavy price to save, to borrow (if they could). Even laws that were designed to help pull Americans out of poverty, accumulate wealth and avoid taxes through home ownership, benefited one segment of America while ignoring or fleecing the other. It is a painful read. It is also necessary. 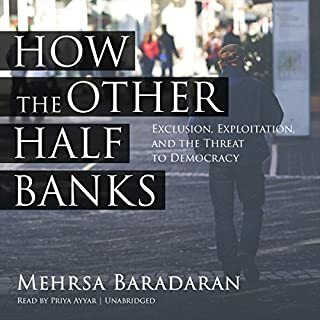 Unlike Mehrsa Baradaran's previous book, 'How the Other Half Banks: Exclusion, Exploitation, and the Threat to Democracy', this one spends little/less time on prescriptions. She is laser focused on what is wrong, what went wrong, and why. It is a dense (without ANY of the negative connotations typically associated with that word) book. One that required me to open (on my HC edition) THREE different post-it flag packages. I was marking things that were new, quotes that amazed, items I didn't want to forget and I often found myself marking 3 or 4 times a page. Thank goodness for Audible's +clip function. A few caveats before I end. This isn't a perfect book. It isn't as exciting as a Michael Lewis book (this probably won't get made into a movie) and the prose isn't as pretty as Robert Caro's LBJ series. But it is important. It is a labor of both love and skill. Reading some chapters in it, I could tell Mehrsa spent months in presidential libraries. Well researched books give me a thrill. Especially when you recognize that a certain nugget of data or quote may never have seen the light of day if it wasn't for the doggedness of a skilled lawyer/historian. 'The Color of Money' deserves to be in the library of anyone who deals with or seriously thinks about income inequality, race, banking, inner cities, etc. As a white, upper-middle, male who has benefited from educated parents, stability, wealth, and every advantage American history and politicians have blessed me with, it is difficult and humbling to realize just how many of the economic realities I take for granted every day weren't available to the parents of my black friends. Hopefully, more of these same financial realities WILL be available to the children of ALL my friends. Hopefully too, we can begin to cover both the scars of the disadvantaged, and the economic and social chasms that separate (unfairly) us. This book is both a bridge and a battle cry. 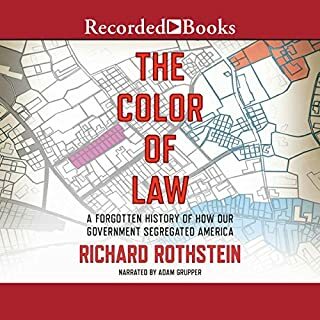 A fascinating and fast-paced history of banking, with a focus on more than 150 years of targeted *economic* discrimination against black Americans. I was shocked to learn some of the on-the-record statements made by blatantly racist politicians – including many who have occupied the Oval Office. The author explains the incredible power of banking’s money multiplier effect, and how this power could not be realized in ghetto “savings & thrift” banks that were not also lending to their local customers. This book made me realize, for the first time, how important something so seemingly mundane as FDIC deposit insurance is to the entire banking system. For decades black banks have found themselves caught in a complex double-bind (“Damned if we do, damned if we don’t”) of needing to run profitable businesses, coupled with implicit and explicit goals of acting as community institutions – functioning like quasi non-profits – to serve high-risk, high cost-to-serve customers in under-banked ghetto neighborhoods (customers with low deposit balances AND high transaction volumes). I was hoping the last chapter was going to be, “And this is how modern black banks cleared the hurdles that led to the demise of all their predecessors…” Unfortunately, that happy ending is still a future event. 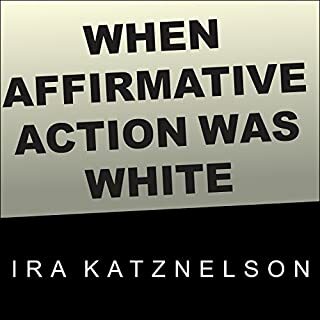 The author left me significantly better informed about the systematic, historical causes of the racial wealth gap and sincerely hoping that viable solutions are on the near horizon to help close that wealth gap in America. Well researched and well written. I recommend it. The Color of Money is an important work that needs to be read by everyone. Dr. Baradaran's work and voice is at once eye-opening, sobering, and infuriating. Her voice is as one with an insider's perspective to the history and nuanced relationship of the Black community to this Nation's consistent and deliberate abuse. 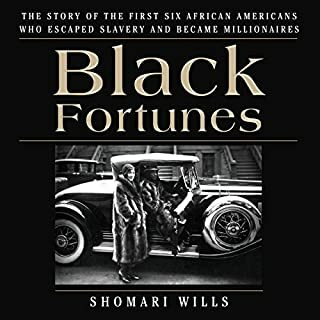 Very enlightening read about American history and how it has plunder the black community while blaming it! This book was so informative! The racial wealth gap is a terrible remnant of our country’s shameful and racist past. This book does a wonderful job of explaining the state of economic affairs in the black community. It’s the “New Jim Crow” of banking and finance! Best book I have read in a long time. Very educational book. 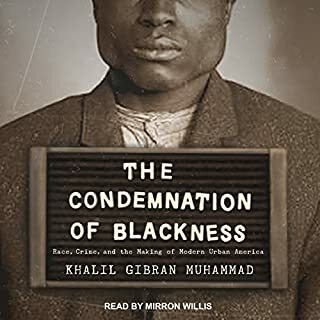 After reading this book I am so much aware of hidden discrimnation snd the systematic racism through out the years in America. Buy this book for yourself and your kids. To much to take in! This book though eye opening was a bit to much to handle. Although I learned many things, the structure of the way the info was being shared was a challenge to follow. we first was in this era then we were in another by a quote from someone late. I got the meaning of it all but this could drive a reader mad. Nevertheless I don't regret reading this book. I like to listen to words like exclusionary and inferiority. Also there were so many acronyms it was interesting to say the least. This is an amazing book that help the reader understand the causes of the wealth gap in the US. I will recommend this book to my friends and family.